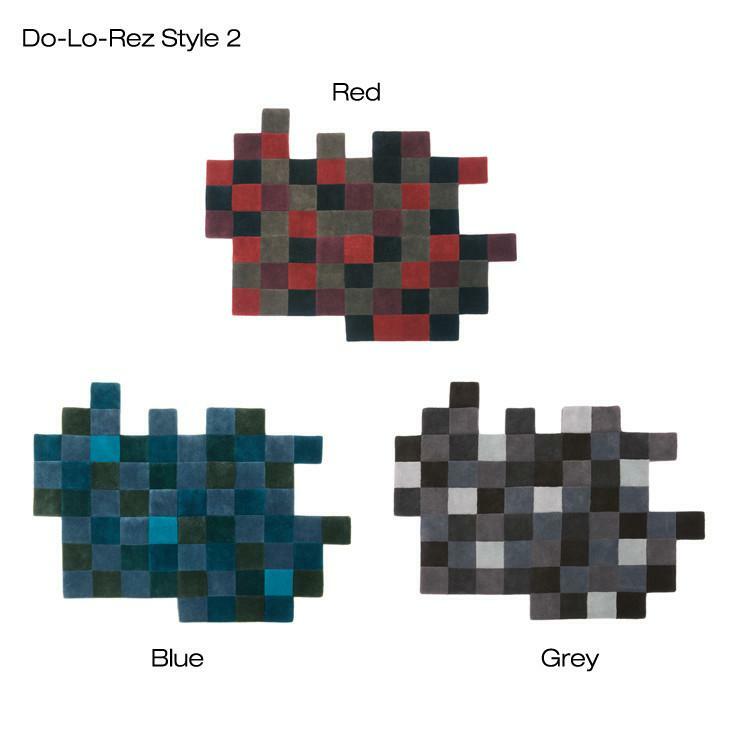 do-lo-rez rug. Design Ron Arad. 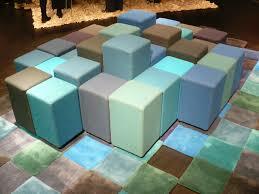 100% New Zealand wool, hand tufted. 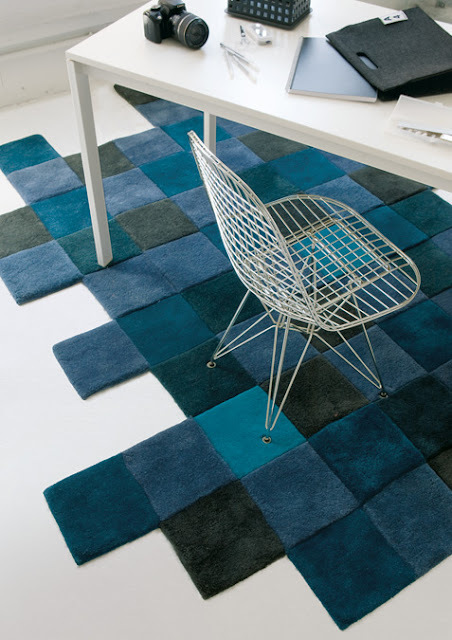 Handmade by NanimarquinaDo-Lo-Rez rugs are handmade & hand tufted using 100% New Zealand wool. 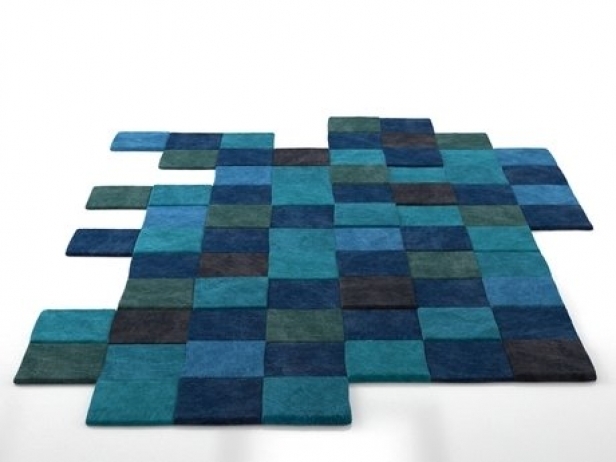 do-lo-rez 1: 6' w | 9'1" L | wool pile height: 8-15-30mm | total height: 36mm do-lo-rez 2: 7" w | 8'4" L | wool pile height: 8-15-30mm | total height: 36mm each square is 9" x 9". 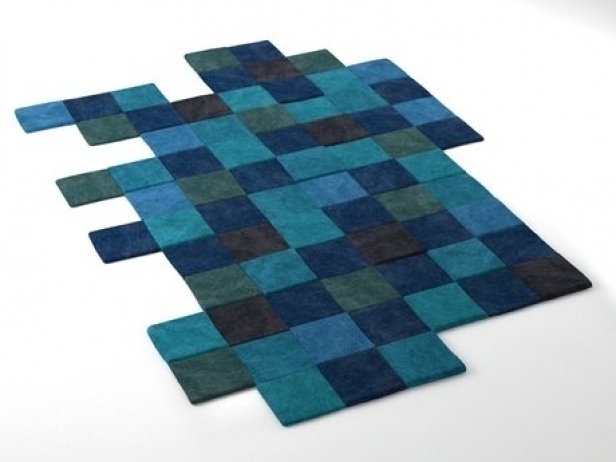 Bring a contemporary checkered checker board area rug into your living room with the Nanimarquina Do-Lo-Rez 1 & 2 Rugs. This square pixelated designed area rug is made up of hand tufted blocks of New Zealand wool. In addition to the mix of colors, each block is carved in a height different from those surrounding it. While great on its own, this puzzle piece actually match into each other and can be fitted together with others for a truly customized look. Custom sizes available on request. The name, Do-Lo-Rez, comes from the expression "do low resolution". The idea came to designer Ron Arad after seeing a pixelated image in low resolution, which has materialized into a three-dimensional surface. Each 9" square is a different height from the ones beside it. The extraordinary format involves multiple vertices that seem like the final pieces of an unfinished puzzle. 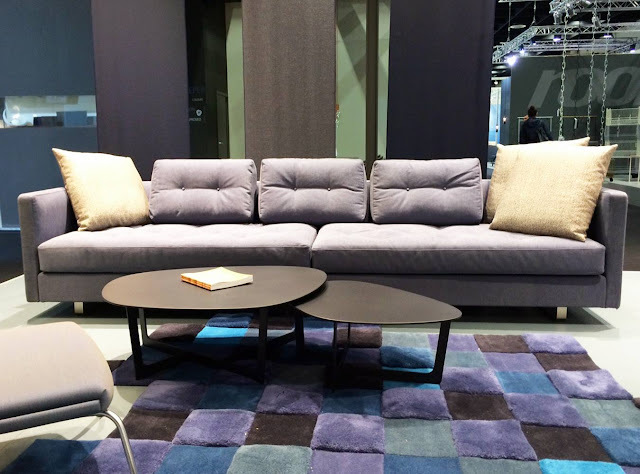 Do-Lo-Rez is a union of two pieces, rug and sofa, conceived as a single element. 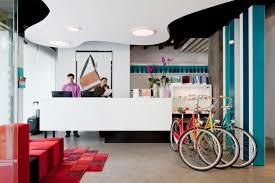 Created jointly, they form an unusual project that brings the virtual world closer to the real world. Hand tufting is a manual weaving process that uses a pistol-shaped contraption. 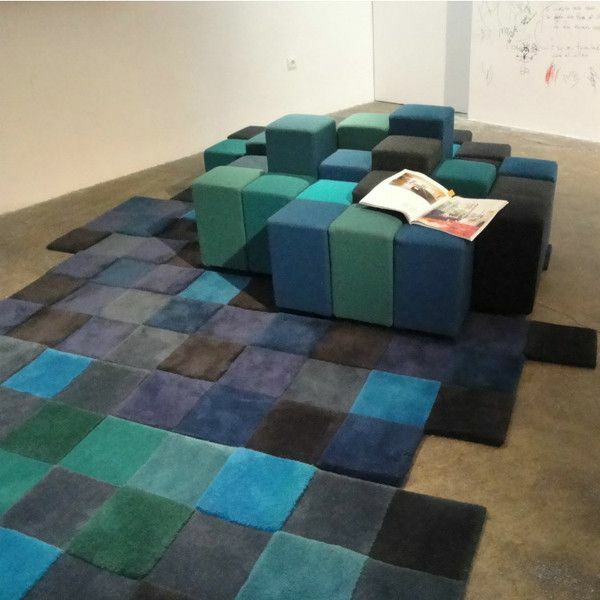 The rug's design is made over a taut cotton fabric and weaved with a tufting gun, which pushes and cuts sections of wool thread that are fastened to the base with a layer of latex. 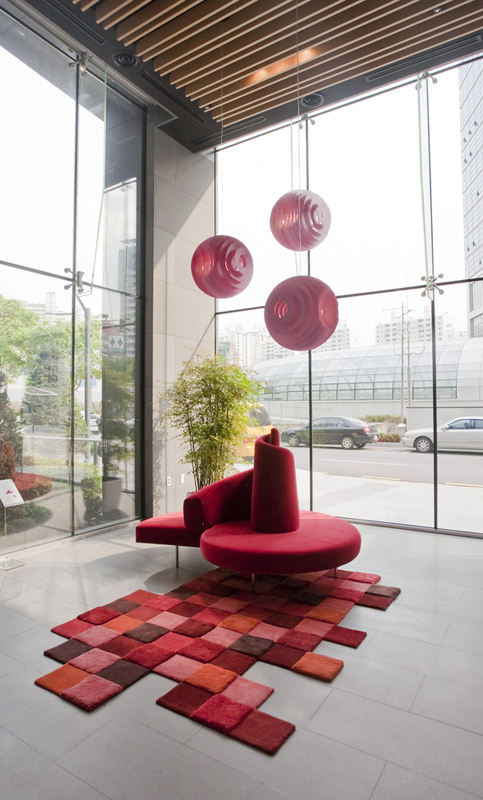 Created by Ron Arad, Do-Lo-Rez is a union of two pieces, rug and sofa, conceived as a single element. Created jointly, they form an unusual project that brings the virtual world closer to the real world. Its name comes from the expression "do low resolution". The idea came to him after seeing a pixelated image in low resolution, which has materialized into a three-dimensional surface. 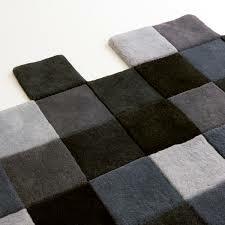 The rug is made by making each square a different height from the ones beside it. On the other hand, its extraordinary format involves multiple vertices that seem like the final pieces of an unfinished puzzle. This game of volume and levels gives free rein to customization. 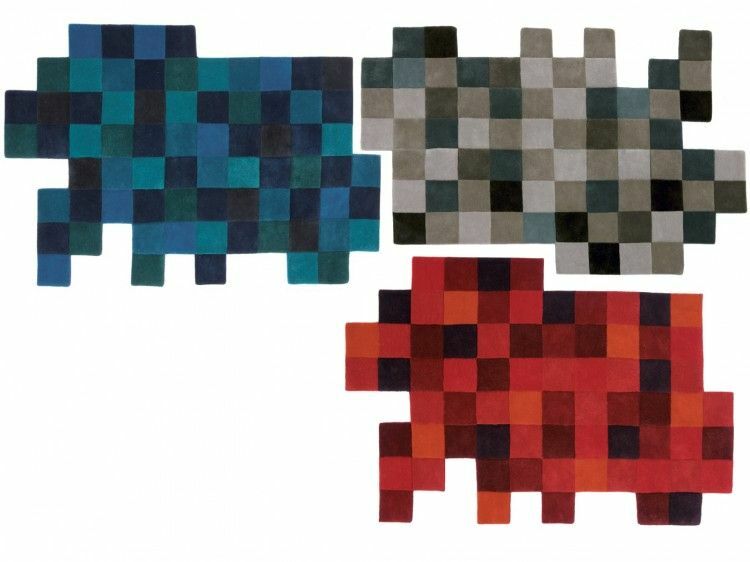 Nanimarquina was founded in 1987 focusing on offering rugs to a world that is interested in creativity, quality and innovation. 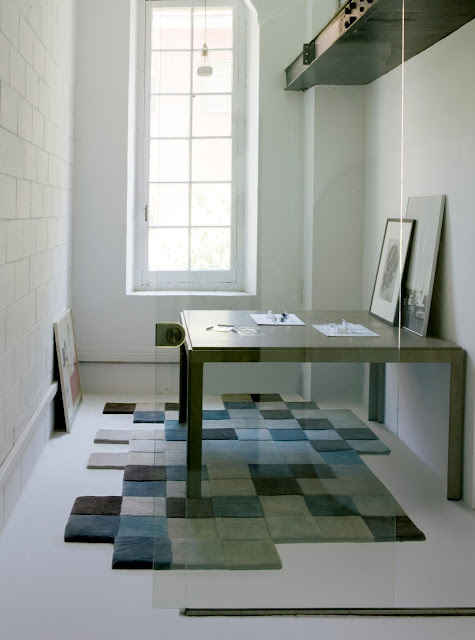 Today, Nanimarquina is one of the leading companies in the contemporary rugs sector. Under the premise of "reuse, reduce, recycle", they pay the utmost attention to caring for and preserving the environment that surrounds us. 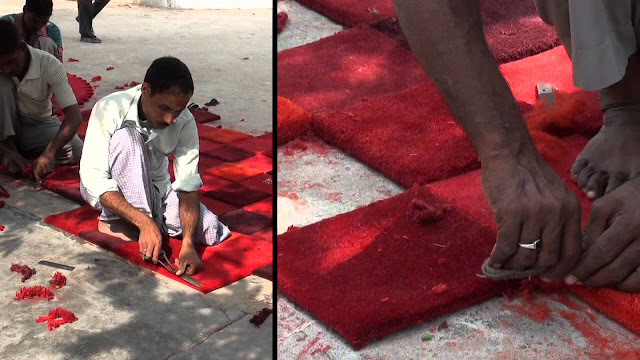 All of their rugs are hand made in countries with great traditions of craftsmanship. 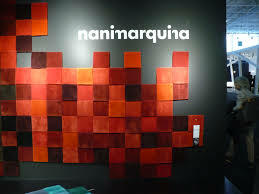 Nanimarquina also guarantees that no child labor is used in the manufacturing of their rugs. They also collaborate actively with organizations to further improve standards of living for those directly involved in the process of producing their rugs.